The Nikon D610 brings full-frame capabilities to a larger audience while retaining most enthusiast-friendly features. Image quality at high ISO sensitivities is very good, and a wealth of customization options enables quick access to most shooting controls. The Nikon D610 is one fantastic and budget conscious enthusiast DSLR camera. It is packed with amazing features to produce outstanding image quality. It’s not an upgrade of D600 though it fixes earlier complaints. This beginner enthusiast camera fixes the oft-lamented sensor dust and oil spots issue which were affecting the D600. It comes with a new shutter mechanism, and modest speed boosts. The Nikon D610 does burst shooting test at 5.9fps. With a quitter continuous shutter release mode, you will love this when taking shots at a wedding. It also appeals to event shooters and nature photographers. It has a 35mm full-frame CMOS image sensor which was originally meant for its predecessors. 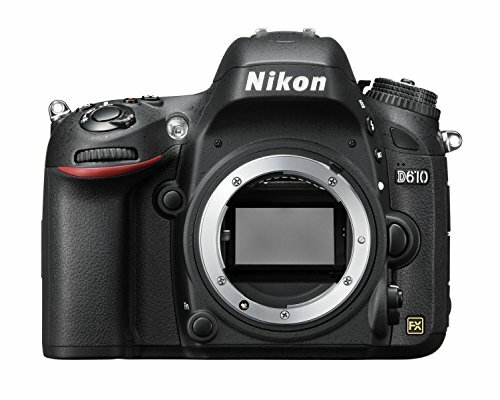 The Nikon D610 comes with an effective resolution of 24.3 megapixels. This entry-level DSLR also operates at 10.5 megapixels in an APS-C crop mode. It happens only when you use DX lenses. Its optical low-pass filter helps optimize sharpness when shooting HD video. The Nikon D610 is made with magnesium alloy on top and on the rear panels. It is the same material used on the optional handgrip. The other parts of the body are made from plastic material. This entry level enthusiast camera features moisture and dust resistant seals and gaskets. These offer to weatherproof as provided by the Nikon D800. 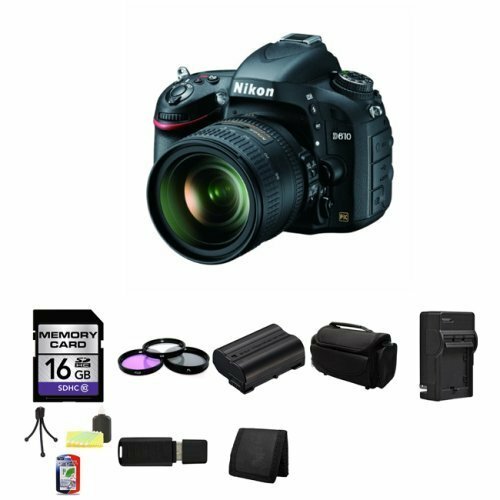 This beginner enthusiast DSLR comes with eye-level pentaprism viewfinder. It has ˜0.7x magnification, and its eyepoint is 20.6mm. When in FX-format mode, the coverage on Nikon D610 is approximately 100% horizontally and vertically. It has an LCD display on the rear with a 3.2-inch diagonal view. The display gives wide viewing angles and has a maximum resolution of 921,600 dots. Just like other entry-level DSLRs, the Nikon D610 has a backlit monochrome LCD. Changing settings is a breeze without draining the battery. The Nikon D610 can shoot cinema quality video. It can capture at either Full HD 1920 x 1080 or 1280 x 720-pixel resolution. Get full manual exposure control which allows you tweak aperture, shutter speed, and ISO. Your creative vision will be brought to life. With a dedicated Movie button, start or stop video capture at any moment. You can also do that with remote control. The Nikon D610 brings full-frame capabilities to a larger audience while retaining most enthusiast-friendly features. Image quality at high ISO sensitivities is very good, and a wealth of customization options enables quick access to most shooting controls. 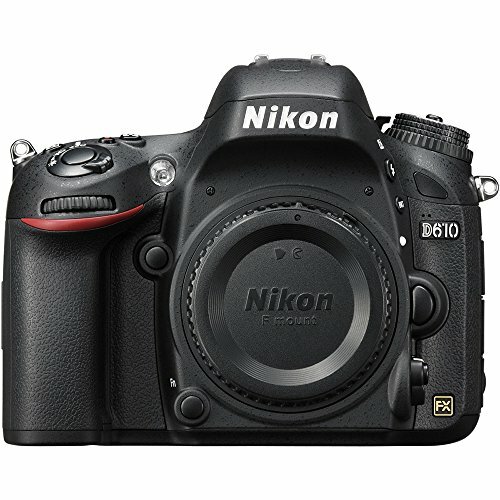 The slight improvements and fixes over the D600 make it a strong competitor in this part of the market.